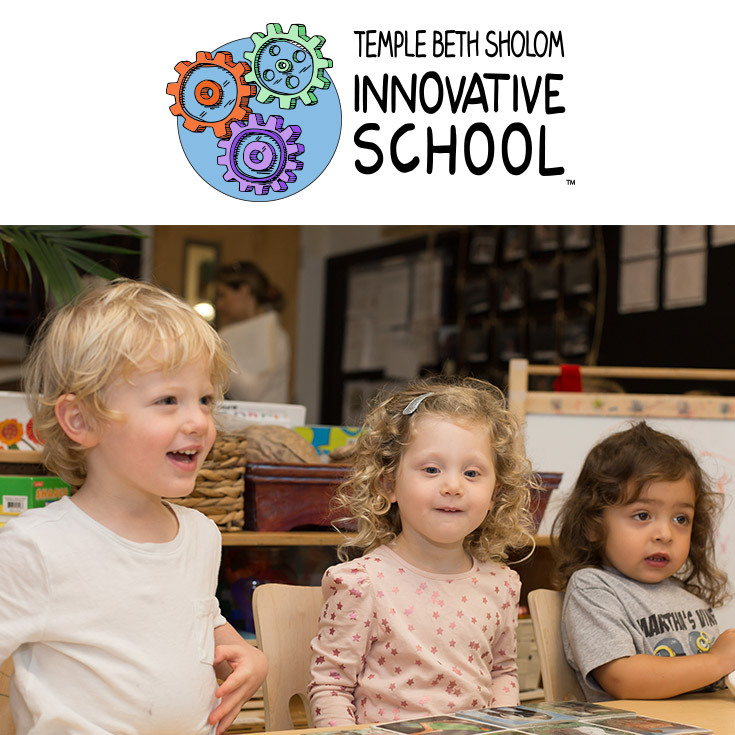 Temple Beth Sholom Innovative School is located at 4144 Chase Avenue in Miami Beach. One-half block North of Arthur Godfrey Road. Metered street parking is available and there is a metered public parking lot next to the corner of Wells Fargo on the NW corner of Arthur Godfrey and Chase Ave.
Tours for Parents (Infant/Toddler Level) The Infant/Toddler Level Leader Bani Bhalla leads tours Monday, Tuesday, and Wednesday at 6:00 pm, but she will work with each family individually to make other arrangements for a different time if necessary. Please email Bani Bhalla. Tours for Parents (Foundation & Elementary Levels) may be scheduled by contacting our school office at 305.538.7231 ext. 240 or email Kayla Green. Tours for Educators may be scheduled by contacting our school office at 305.538.7231 ext. 240 or email Kayla Green. Open House dates below. For questions please email Margie Zeskind.